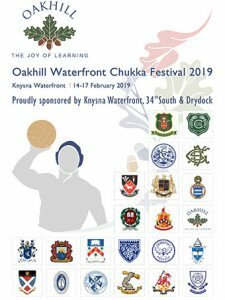 There is great excitement building as water polo players from a wide range of schools across South Africa prepare to visit Knysna at the 9th annual Oakhill Waterfront Chukka Festivals. Both the College and Prep offerings continue to have a wide appeal and attract hundreds of visitors to Knysna. 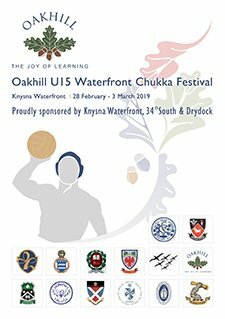 The continued support from Knysna Waterfront and local businesses is overwhelming and together we are able to give festival participants and spectators a truly magnificent ‘Knysna’ experience. 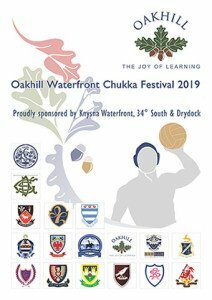 These festivals have become an integral part of Oakhill School, not only to grow the game of water polo, but also to expose our beautiful town and everything it has to offer to the festival visitors. We trust the players and their many supporters will have fabulous and fun-filled weekends of water polo and camaraderie ahead! 22 schools participating from Port Elizabeth, Grahamstown, Cape Town, Johannesburg, East London and George.